Assembly modeling consists in using mechanical components to group geometric entities in hierarchies, representing the structure of a designed product. Assembly modeling is commonly used in Mechanical Computer-Aided Design (MCAD) applications, because it simplifies the design of complex products containing thousands and millions of geometric entities. A mechanical component is a named group of entities. A mechanical component can be any .dwg file or a standard hardware part. Users can define their own components. A component can be inserted once or several times into one or more other components. If the component is modified, all instances of the component will reflect these changes automatically. Components cannot be self-referencing. A component insert is a named entity, of which the default name is composed of the name of the component and the serial number of the insert. An assembly is a mechanical component that contains other components. An assembly with inserted components (which in turn can be assemblies with other inserted components) forms a tree that is called a mechanical structure of the drawing. This tree is displayed in the Mechanical Browser. Mechanical components can be either local or external. A local component is stored in the .dwg file with the assembly. An external component is stored in a separate .dwg file. All inserts of external components are updated automatically when the corresponding .dwg file is modified. If you use external components in your assembly, always remember to transfer all related files when you want to share your model. To edit a local component it needs to be converted to an external component using BmExternalize command. Alternatively you can use the BmOpenCopy command to open a copy of a component, edit and save it, and then use the BmReplace command to replace the original with the copy. Click the Switch Component to External ( ) or Switch Component to Local tool on the Assembly ribbon tab. The tools are also available on the Assembly toolbar and in the Assembly menu. Right click on the component insert in the Mechanical Browser and select Switch to External or Switch to Local in the context menu. 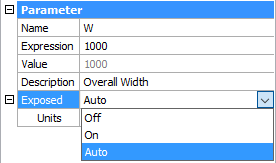 Hover your mouse cursor over a component insert in a drawing window and select Switch to External ( ) or Switch to Local ( ) in the Assembly Modeling command group in the Quad. If you need to go back to the default value of a component’ parameter, just edit the Expression field and delete its value. 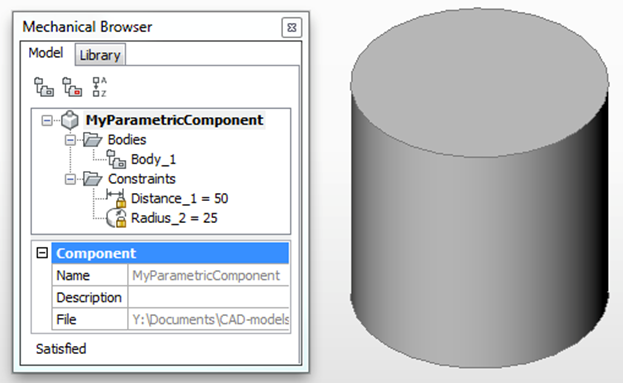 An insert of a parametric component gets a Parameters node in the Mechanical Browser. Each dimensional constraint in the component generates a parameter. In the Parameter section, type a new value in the Expression field . Click Replace Component tool () on the Assembly ribbon tab. The tool is available on the Assembly toolbar and in the Assembly menu. A File open dialog displays. 2. Select a .dwg file for the replacement component and press the Open button. Yes: Replace all inserts of the same name. No: Replace the selected insert only. Component inserts can be replaced with another component. Only top-level inserts can be replaced. 2. 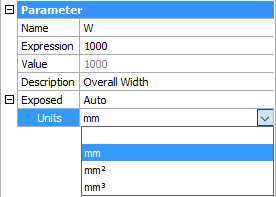 Type a name for the mechanical component or press Enter to accept the current name or the default Component_1 name. 3. Press Enter to convert blocks and external references to mechanical components. All faces created after these Boolean operations form a component based feature, which is updated when you change the component insert &endash; by moving it along a target 3d solid or by modifying its parameters (if the extended component was parametric). When the insert is deleted, the feature is deleted as well. Some examples of parametric component-based features are included into your BricsCAD installation. You can use them as samples for creating your own features. 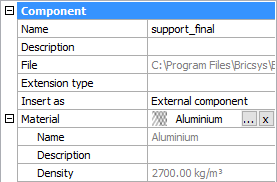 In the Physical Materials dialog select a material in the In Project or the the In Library list. If you insert a mechanical component into a document, all materials used in this component will be automatically copied to the document material library. Only materials assigned to the components will be copied. However, if the current document already has a material with the same name, this material will be used instead. It means that the properties of the material defined in the document library will be used rather than properties of the material from the inserted component.